The Nudge Explores Circular Cities Tour 2015 is on a trip through Europe from May 11 to May 21, collecting great Circle Economy examples. Our 5 ambassadors report their findings. This is one of the companies they visited. Our first stop in Kalundborg, Denmark, was the Symbiosis Center, where we were given a presentation on this innovative city. Kalundborg, is next to its historical centre, famous for having the world’s first large-scale Industrial Symbiosis. Already in the 1972, the first real symbiosis project was launched; delivery of excess gas from the refinery to the gypsum board plan built by Saint-Gobain Gypoc. Many in Kalundborg feel that waste comes totally at the end of a resource’s life cyle (being recycled/upcycled multiple times). Thinking in byproducts instead of waste makes that one starts to think in economic opportunities. Encompassing already four decades, Kalundborg has an extensive framework in which 8 of its leading industrial firms are working together, exchanging 50 byproduct streams, estimated to be saving 100 million dollar per year. At the Symbiosis Center, Sorn Birkse Sorenson, educated us about what Symbiosis is all about. An Industrial Symbiosis is a business relationship focused on sharing resources. This kind of co-operation reduces the total impact of the industry on the environment, and the individual businesses improve their bottum-line results as well as their competitiveness. It’s all about connecting companies and public organisations with each other. Knowing what byproducts (waste) is made by the companies in the region, makes that waste is no longer considered as waste but a byproduct and used by another company. The Danish government acts a matchmaker. It funds technical engineers who assess al inputs and outputs of the participating companies and suggests possible matches. Then it’s up to the companies to forge profitable partnerships! Steam, which a residual product of the coal-fuelled power station, is used at a company which makes half of the world’s insulin. Next to that, this steam is used at Statoil, a Norwegian state owned oil refinery. The power station has a to filter its sulfur from its emissions. Sulfur is one of the components of gypsum, which is used for making plaster by neighbouring company Gyproc. In 1993, Gyproc started to use the power station’s sulfur byproduct, reducing its environmental impact and creating economic opportunities! Of course, refining oil and electricity production with coal has major downsides, but this circular approach has mitigated its environmental impact. Another compelling project is that of Haribo, the candy producer, also located in Denmark. It will supply its residual sugar water to beekeepers to feed their honeybees. Currently this sugar water is being treated as a waste product and processed in Germany. Using this circular approach saves trucks going to from Denmark and Germany and makes that Haribo can make a profit on its sugar water byproduct. 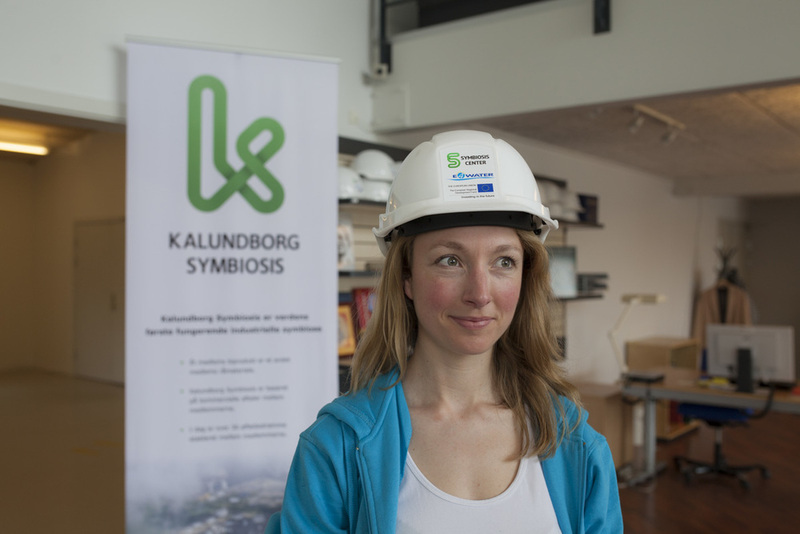 While Kalunborg leans significantly on big industrial and polluting companies, it is a role model for doing business in a circular way. Circularity definitely pays off here!